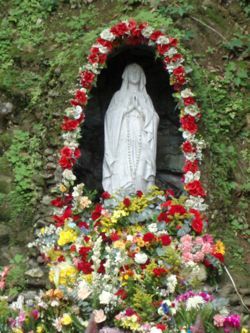 The Betania apparitions of the Blessed Virgin Mary in Venezuela, is perhaps the least known of 20th century Marian apparitions that have been formally approved by the Church. Unknown to many, this apparition has actually received formal approval from the local Bishop, Pio Bello Ricardo, on November 21, 1987. The principal visionary in the Betania apparitions is Maria Esperanza, a Venezuelan mother of seven children who is considered as one of the greatest mystics of the 20th century. The first apparition happened on March 25, 1976 in Finca Betania, a small farm located twelve kilometers from the town of Cua in the State of Miranda, Venezuala. In this farm, near the modest farm house on the property, a hill rises, from which descends a stream. At the foot of the hill, there is a small waterfall. This is where the apparitions took place. Daughter, here you have Me with My Hands enriched with graces and covered with splendors of light, to call all My children to conversion; this is the seed of glory I offer as "MARY RECONCILER OF PEOPLE AND NATIONS", for I come to reconcile all of you. Our Lady continued to appear to Maria Esperanza in the succeeding years. Some people likewise testified to having witnessed numerous unusual phenomena, such as mist coming forth from the hill where the apparitions occurred, a profusion of flowers, beautiful music and singing from an invisible choir, play of lights, movements of the sun, and many others. A small devotion grew out of the first apparition, with people gathering in small groups in the apparition site for prayers and reflection. The Church remained a passive, unofficial observer of the Betania apparitions, with no official ecclesiastical investigations conducted as yet. The Betania apparitions remained very much a small “private” occurrence and devotion among a few individuals in the locality. All this, however, changed, in March 25, 1984. A group of around 150 people gathered in the apparition site at noon to celebrate Holy Mass. After the liturgical celebration, the crowd dispersed. A small group of children were playing near the waterfall at the foot of the hill. Suddenly, they saw the Blessed Virgin appearing over and behind the waterfall. It was a fleeting apparition, after which they immediately ran to relay the news to the other people who were about one hundred and fifty meters away. They all rushed to the site of the apparition. They were still discussing the news relayed by the children, when the Virgin appeared again, in full view of all present. During that same afternoon, she appeared seven times, each time around five to ten minutes in length. Her last apparition at dusk lasted approximately half an hour. One notable difference of the Betania apparitions with other apparitions is that unlike in other apparitions wherein the visionaries usually enter a state of ecstasy, the witnesses of the Betania apparitions remained fully conscious and recollected, and were in fact able to talk to each other while seeing the apparition of Our Lady. News of the group apparition spread rapidly. Floods of people flocked to the apparition site. The Betania apparitions, meanwhile, continued and were especially numerous in 1984 and 1985. The group apparition of 1984 triggered an official Church investigation. What is also unique with the Betania apparitions is that it was the local Bishop himself, Most Reverend Pio Bello Ricardo, who personally handled the investigation. In his own estimation, the Bishop spent close to 500 personal hours in the investigation, mostly on personally interviewing each of the witnesses. This…obliged me to dedicate much time to this subject, around four hundred to five hundred hours; but I could calmly question approximately two hundred protagonists and collect, study and file three hundred and eighty-one written declarations. Some were collective declarations. The number of people who signed those declarations is four hundred and ninety. After three years of rigorous investigation, and after consultation with the Vatican, the Bishop declared in a pastoral letter dated November 21, 1987 that the Betania apparitions were “authentic and of a supernatural character.” The bishop likewise took the additional extraordinary measure of formally declaring Betania to be "sacred ground." As sacred ground, therefore, the site must maintained as a place for prayer, reflection, pilgrimage and worship. 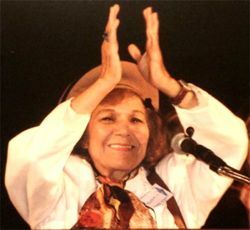 Maria Esperanza, the principal visionary of the Betania apparitions, is considered to be one of the greatest mystics of the 20th century. She died in August 7, 2004 at 75 years of age, after a long bout with Parkinson’s disease. Maria was showered by many gifts from God, and experienced numerous incredible unexplainable phenomena that defy human and scientific explanation. These phenomena, well-documented and studied by numerous scientists, include the stigmata (the bleeding wounds of Christ in her hands), apparitions, Eucharistic miracles, “reading” souls, foretelling of future events, and stigmata, visions, "reading" souls, healing, bilocation. On September 23, 1968, Maria Esperanza had a vision of Padre Pio. In the vision, Padre Pio said to Maria: “Esperanza, I have come to say goodbye. My time has come. It is your turn.” The next day, newspapers around Italy reported that Padre Pio had died. Maria’s first mystical experienced happened at the age of five, when Saint Therese of Lisieux appeared to her and tossed her a red rose. At age twelve, she became sick with acute bronchial-pneumonia; then, she had a vision of Our Lady of the Valley, Patroness of Margarita Island, and she recovered miraculously. The heart of the Betania apparitions is the new title of our Lady: that of “Mary Reconciler of People and Nations”. Why the need for another title? Not a few may question the need for so many titles of the Virgin Mary. The importance of the Virgin’s multiple titles is that these titles showcase specific aspects of the person and role of the Blessed Virgin Mary in Christian life. Reflecting on Mary’s different titles is like viewing a precious gem from different angles, under varying lights and conditions: each angle, each light change, produces a different beautiful view. But it is the same gem. In the case of the Betania apparitions’ new title of “Reconciler of People and Nations”, this title highlights the important role that our Mother plays in our Christian lives, most especially in our modern times characterized by much war, hatred, bloodshed, immorality and sin. Mary is not just a passive, heavenly spectator who simply sits back and enjoys the bliss of heaven, while her children suffer in poor earth below. Rather, Mary is an active Mother to us all: she stays with us, prays for us, lives with us, and helps us reconcile ourselves with each other, and with God. …On the other hand, redemption can…be proposed as reconciliation of men with God and of men among themselves…Being the Blessed Virgin cooperator in the plan of redemption, she must logically be considered as cooperator in reconciliation. 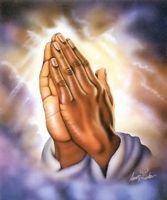 This is the position that is understood and proclaimed in the title of "Reconciler" or "Mother of Reconciliation". This condition of cooperator in reconciliation is not limited to the life of Jesus on earth, but rather is prolonged in the history of the Church…This cooperation is prolonged indefinitely…: "This motherhood of Mary (as mediator) in the economy of grace endures ceaselessly...until the perpetual consummation of those chosen" (Lumen Gentium 62). …In this world and in this Church, the Blessed Virgin appears as RECONCILER OF PEOPLES insisting on a spirit of solidarity and mutual brotherly sharing. 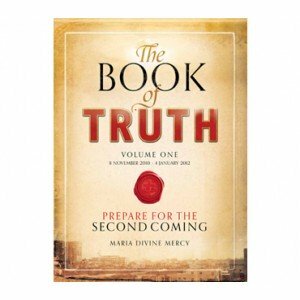 A title that springs from the theology of the cooperation of Mary in redemption and reconciliation and the message holds much sense for the present day. The Betania apparitions title of “Mary Reconciler of Peoples and Nations” is similar in essence and theology with the title of Mary in another Church-approved 20th century apparition: the Amsterdam apparitions where Our Lady appeared under the title “Our Lady of All Nations.” They are, in essence, one and the same, but with the difference that the Betania apparitions highlight more Our Lady’s specific role as Mother of Nations – as reconciler of all peoples and active cooperator in the work of redemption. The Betania apparitions, therefore, are in essence an extension, a reinforcement of the message of Amsterdam: that Mary is Co-redemptrix, Mediatrix and Advocate, and as such, she is the “Reconciler of Peoples and Nations”. Other Marian apparitions of the second half of the 20th century likewise reinforce this message and role of Mary as Co-redemptrix, Mediatrix and Advocate. 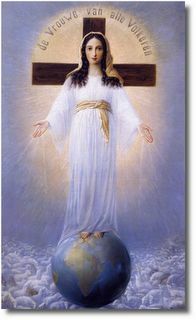 In the Akita apparitions, just like in the Amsterdam apparitions, the principal image is that of Mary in front of the Cross – highlighting her role as cooperator in the work of redemption. In the alleged apparitions of the Virgin in Lipa, Batangas, Philippines, Mary appeared to Teresing Castillo under the title “Mediatrix of All Grace.” Although the Lipa apparitions do not have formal Church approval, devotion to Mary under the title “Mediatrix of All Grace” has flourished. Perhaps the most poignant aspect of the Betania apparitions is that the Virgin Mary chose to appear not just to one visionary, but to many people from all walks of life: students, lawyers, doctors, professionals, and others. Furthermore, it was a “public viewing” witnessed by the crowd in a complete state of full consciousness. They remained fully aware and conscious, excitedly talking to each other while seeing the Mother in the flesh. It was as if the Heavenly Father, in that wonderful day in 1984 in Betania, lifted the veil of peoples’ eyes so that they may see that wonderful reality: that Mary lives among us. Our Mother is not a mother far away in Heaven, inaccessible to us. Rather, Mary our Mother lives among us. She prays with us, eats with us, laughs with us, cries with us, suffers with us. She is a very real Mother whom we can run to every hour of the day. We can talk to her anytime, anywhere: in the most joyous moments of our lives, in the deepest pits of our sorrows, and even in the most mundane and everyday situations. One Marian devotee described her personal Marian devotion as follows: she talked to our Mother the whole day; she asked for her help in finding a good parking spot (to avoid being late), talked to her about her heartaches, run her through her itinerary for the day, said goodnight to her before she slept. What a wonderful way to live our lives: to live constantly in the loving arms of our heavenly Mother! Behold, I offer you My Heart, united to My Divine Son's Heart, so you may live the most profound experience with Us... in order to enjoy the sublime moment of a living testimony, the fundamental basis of a great truth: WE LIVE AMONG YOU..! Participate children..! And cradle yourselves here in My Heart..! I keep you..! Click here to return from Betania Apparitions to Marian Apparitions.